Are you looking for the best shop to for your Nissan repair in San Diego? Check out Pacific Automotive. We’re the best dealership alternative in San Diego for Nissan repair and regular maintenance. As you’ll see, we provide fast, courteous, and professional services at affordable rates. In addition to check engine light and general engine repairs, we’re specialists in Nissan brake service, Nissan transmission repair and clutch repair as well as regular services like an oil change or tune up. With over 20 years in business, you can count on us. Whether it’s scheduled maintenance or auto repairs, our work will keep your factory warranty intact. Pacific Automotive employs ASE certified master mechanics who are well trained and always up to date on the latest models and factory information. 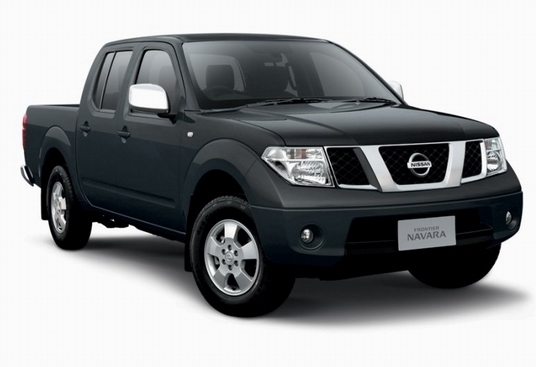 Our technicians specialize in different vehicles, including Nissan. With the latest equipment, we’re trained and experienced with hybrids like the Altima and Pathfinder. When you bring your vehicle to us there won’t be any waiting a day or two for parts; our repairs are almost always same-day. We take great pride in delivering top-quality work at affordable prices and with a personal touch. We’ll get to know you and your vehicle. Our goal is to keep you on the road and extend the life of your vehicle. So give us a call for affordable rates and satisfaction guaranteed. Are You Looking For A Nissan Specialist? Nissan vehicles great and very reliable, but any modern car is so complex that there will be problems that can’t be identified until a large number of vehicles have been in customer hands. For example, the 2005 Sentra experiences blown head gaskets a bit more often than most other vehicles, and the 2005 Altima sometimes experiences excessive oil use or engine shutdown by the on-board computer due to a sensor failure. The 2013 Altima is known to have more power steering problems than usual. Our certified mechanics stay up to date on issues like these and know what to be on the lookout for and the best way to correct these problems. We’ll discuss a few more Nissan issues as part of our specialties. Brakes are the most safety-critical part of you car. A fraction of a second or a few feet difference in brake performance can be the the difference between a major accident and no problem at all. So give Pacific Auto a call if you suspect any problem with your braking system. We offer a free inspection, and top-quality brake service. Symptoms to look out for include the brake warning light going on or a soft brake pedal, as well as noise, vibration, or pulling to one side while breaking. Nissan vehicles have a pretty clean record with respect to the braking system, and usually don’t need anything more than the regular scheduled brake service. The 2013 Altima does have a reputation for brake squeal, which may or may not indicate a problem. Stay safe — let us check it out! Has your check engine light come on? Bring your vehicle in and we’ll run a scan. Our master mechanics are experts at taking diagnostic codes, identifying the actual problem, and handling all kinds of engine repair. Sometimes it’s just a regular maintenance reminder (we’re intimately familiar with the maintenance schedule for all Nissan vehicles). Other times it’s a particular problem, with bad sensors, spark plugs, and catalytic converters among the most common. If your check engine light comes on, don’t ignore it or delay until there’s an obvious problem. By then you may already be in for a more expensive engine repair. Nowadays, transmissions are complex combinations of hydraulics and computers — and often the most difficult auto repair to diagnose. At Pacific Automotive, we’re specialists in both automatic and manual transmissions, experts in both transmission repair and clutch repair. We’ll diagnose the exact problem to save you money and get your car back on the road sooner. Symptoms of transmission problems include difficult or uneven shifting, delayed or uneven acceleration, noises, and fluid leaks. It’s important to have regular inspections, fluid top-off,and flushes to prevent major and expensive transmission repairs. Several Nissian models from 2004 to 2007 tend to have transmission problems so it’s doubly important to have these checked and serviced regularly. Pathfinders, Xterras, and Frontiers are prone to a transmission coolant leak that often leads to transmission failure at around 90,000 miles. Nissan Maximas made during these years are prone to jerk while shifting. Be sure to have this taken care of to avoid major transmission problems. Likewise, the 2013 Altima tends to show vibration and shudder symptoms more often than most other models and makes. Regular oil changes are the single most important maintenance your car needs. And unlike commonly believed, it’s not just a matter of how many miles you’ve driven. Frequent short trips and stop-and-go driving will mean you need an oil change much more often. Plus intervals are different for different types of engines. Our experts will advise you based on your vehicle and personal driving habits. And like any good shop, our oil changes include a lube job and filter change. Regular maintenance is critical in avoiding costly auto repair. We know the factory scheduled maintenance for all Nissan vehicles. You’ll be safer, your car will last longer, and you’ll save money in the long run. We’re your San Diego experts, whether it’s check engine light, engine repairs, brake service, transmission repair, clutch repair, or just an oil change. Call Pacific Automotive for all your auto repair and maintenance needs. We’ll keep you on the road and your vehicle under warranty with fast friendly professional services.